Dimensions: 44'' Tall x 29'' Wide. Base Plate 12'' x 6''. 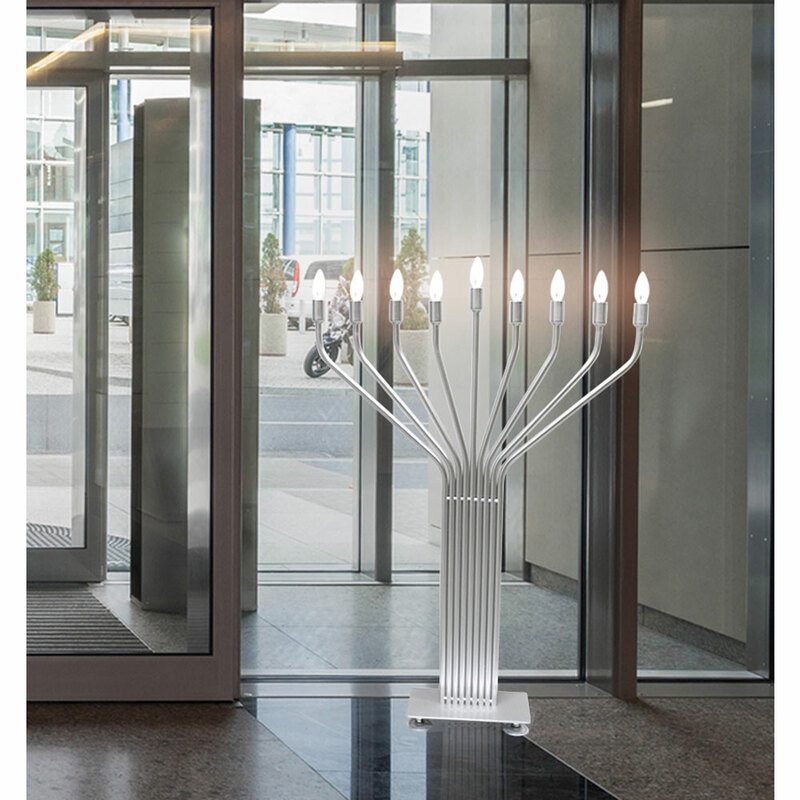 Large electric Menorah, from the infinity collection. Measures 44" Tall (Almost 4'), and 29" wide. The base plate is made of solid steel, the body is made of aluminum to give it plenty of balance, the Menorah will NOT tilt over. 4 Industrial grade suction cups on the base plate give it extra balance and grip. For indoor use ONLY. Designed and manufactured for Zion Judaica. The professional's favorite. Are you doing landscaping? Holiday Decor? Running a bank, School, business, property management, this Menorah will be a breeze to operate and store for future years to come. The best price and choice in its class! 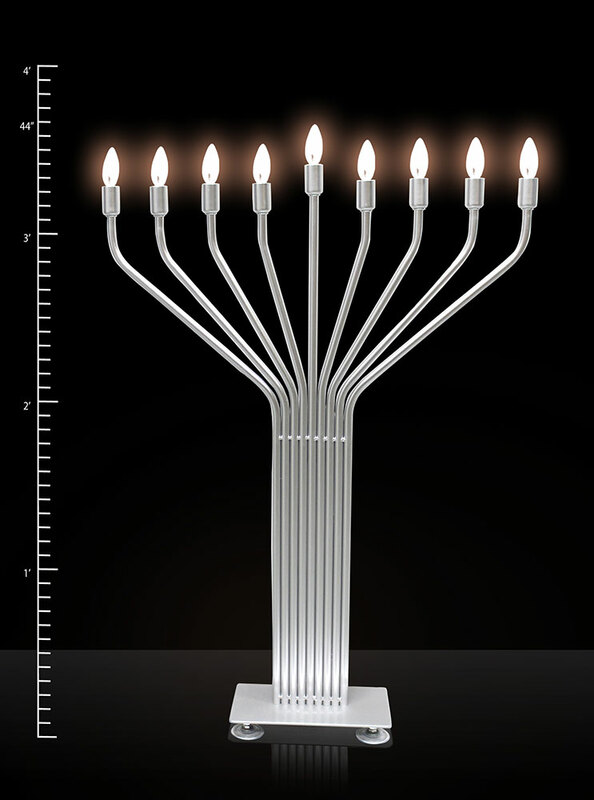 Advanced control option come standard with this Menorah. Auto-setting will lite the next candle each night at the same time.